Proper reputation management can help you attract more bookings! As modern hoteliers are well aware, there are several distinct facets to running a successful hospitality business – property management, distribution, revenue management, and so on. But online reputation management is a critical area many owners still don’t seem to understand the significance of. In today’s digital booking ecosystem, your hotel software should do more than just help you manage your property and distribution. Unlike quick-fixes like advertising and promotions, proper reputation management can have a major impact on your hotel’s long-term occupancy. However, it still fails to command much attention. A common problem is that many managers seem to underestimate the potential returns. Moreover, there’s a misconception among some that managing reviews is a complicated affair. This couldn’t be farther from the truth! While review scores may be low initially for a property just starting out on TripAdvisor, this is normal. It just takes a couple of negative reviews to drag down the overall score, especially with a smaller sample size. But as time passes, review scores tend to get better and after a point, even a few negative reviews every now and again won’t have any significant impact on your overall score. Another factor is guests – a number of hoteliers consider it rude to pester guests for reviews, and rightfully so. Travelers are at the hotel to be serviced and not to help build a brand, but they do not mind taking the time to submit a review after their stay – they just need to be reminded! While this may have been true at the turn of the 21st century, we now have software for hotels – Review Express – that significantly simplify the process. Developed by TripAdvisor, the tool integrates with your property management system and enables you to easily send emails to your guests once they’ve checked-out. The system reminds you to send emails multiple times, based on whether the guest has taken an action. Integration to Review Express can increase your hotel’s reviews manyfold – John Pribble, owner of the German Village Guest House in Ohio, recorded a 300% rise in reviews after adopting the system. Learn how he accomplished this in our upcoming webinar(January 31st 2017), presented by TripAdvisor’s senior review manager Oliveira and John himself! While it’s great that your hotel is now attracting more positive reviews and climbing TripAdvisor’s rankings, there are a number of other benefits to the process. Emailing your guests after their stay helps develop your relationship with them – there’s hardly a better way to let them know that you value their opinion. This sets a precedent from which you can continue to nurture the relationship, perhaps even turning the guest into a repeat customer! Equally importantly, reviews help you determine areas where you can improve your service. 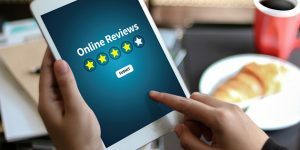 Sometimes, one negative review could highlight a serious shortcoming that managers may not have identified, enabling the hotel to fix things and avoid more unsatisfied guests. The important thing is to be patient – this is a long-term fix, so don’t expect rapid changes!